"Growing Roses in Anchorage", Allen Deitz, March/April 1994, Extension Info & Ideas. Alaska Cooperative Extension. Most of these roses are too tender to survive our winters outdoors. As a matter of convenience, many people grow them as annuals, discarding the bushes in the fall and buying new ones each spring. There are, however, alternatives. When semi-dormant, these roses often can be wintered successfully in a cool, dark crawl space, garage, or basement. Some gardeners winter their roses as houseplants in a southern window, while others take advantage of the local nurseries and have their roses wintered in a greenhouse. Another rose growing option is to grow roses hardy in our area. Various Old Garden Roses and modern Shrub roses do very well in our climate. The hardy Old Garden Roses are predominately species roses and their hybrids. 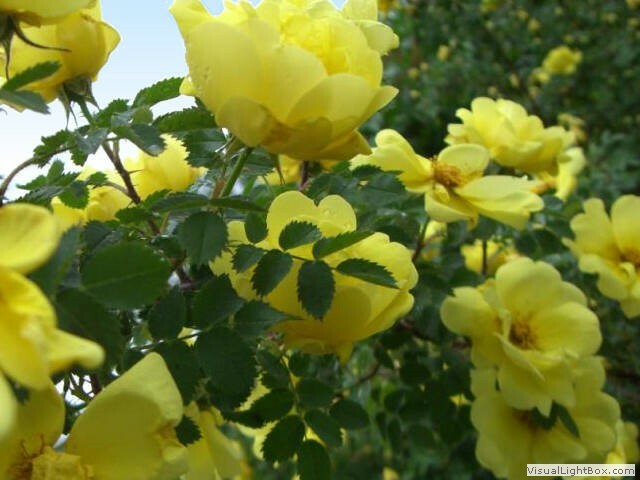 The most well know in Anchorage are the Rugosa roses, also known locally as "Sitka Roses". 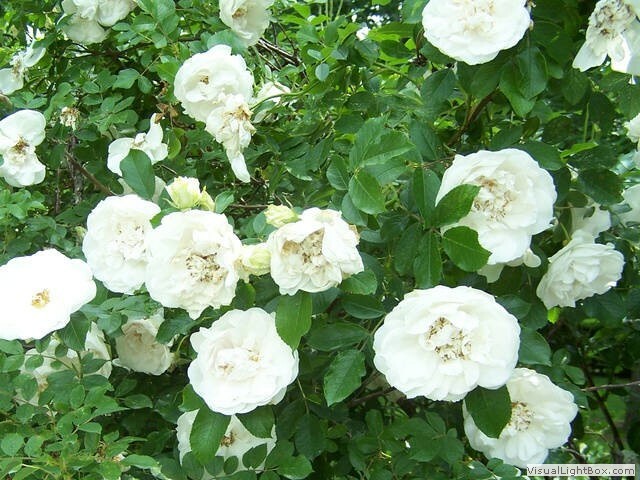 Others to look for include the Blanda roses and the Spinosissima (or Pimpinellifolia) roses, also known as "Scotch Roses". 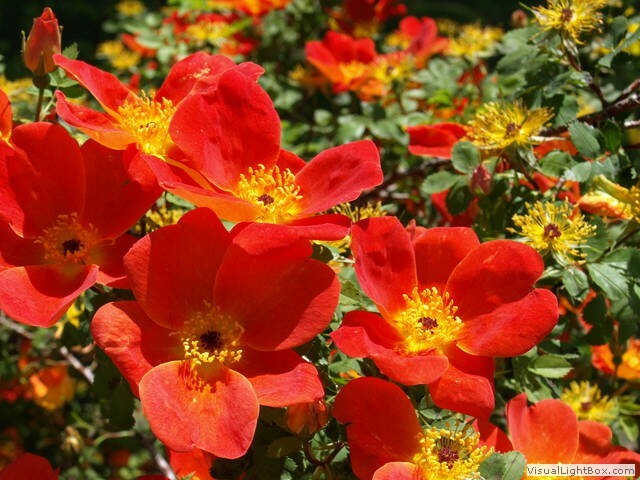 The Foetida and Foetida bicolor species, known as "Austrian Yellow Rose" and "Austrian Copper Rose", respectively, also can be found in Anchorage, along with Foetida hybrids such as "Harison's Yellow". Not to be overlooked are the native Nutkana roses which grow wild throughout our area, and the Glauca (or Rubrifolia) rose, also called the "Red-Leaf Rose". An increased interest in old-fashioned roses is reflected in the modern Shrub roses being developed by hybridizers around the world. Those with the most promising hardiness include the Morden and Explorer series from Canada and some of the Kordes roses from Germany. Watch the local nurseries this spring - many of these should be available. When buying a hardy rose, be sure it's on its own roots, rather than grafted onto other rootstock. During a severe winter, winter kill of a hardy rose is often caused by the failure of the more tender rootstock. If the rose is on its own roots, it is more likely to survive. Hybrid teas have large flowers typically with a 'classic' rose bud & flower shape. They have long stems with a single terminal flower or a single flower with 2 or 3 side buds, which should be disbudded for show. They usually have fewer flowers all at once & over the season than floribundas. 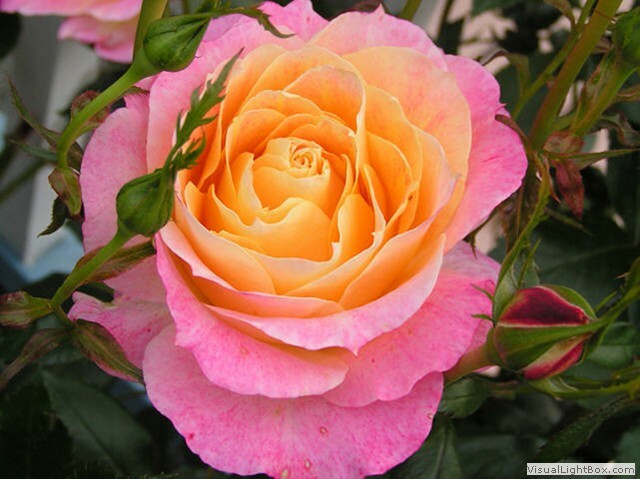 Floribundas have clusters of flowers, which are smaller than hybrid teas. They typically bloom continuously over the season. Flower shapes vary depending on cultivar. These are cluster-flowered roses, exhibiting a combination of hybrid tea & floribunda traits. Grandifloras have small clusters of large flowers with stems that are longer than floribundas. The bush is often larger & taller than a floribunda or hybrid tea. "Patio" roses are typically small shrub or floribunda roses that are marketed especially for growing as potted plants. "Miniatures" are genetic miniatures -- both foliage and flowers are small, usually under 18" in height and often grown as houseplants. Tender roses in Anchorage grow better in pots than in the ground, possibly due to the warmer soil provided in the pot. Pots are usually portable, can be moved to sunnier locations, and to show to their best advantage. Growing these roses in pots allow an extended season by the ability to move and shelter them from early frosts, and wintering over indoors is made easier without digging and potting. Fairly heavy soil is better than lightweight "soilless mixes". The container must have adequate drainage holes on the bottom or side of the pot!! 6 hours of daylight is the minimum! Large amounts of water are necessary. Remember to provide good drainage! In warm dry weather, watering can be needed as often as once per day. Using 'pre-warmed' water gives the best results. Epsom Salts (magnesium Sulfate) provides a good boost in spring. Pinch and leave residue - this seems to act as deterrent. Water spray: be careful to avoid damage to the flowers. Don't leave water on the foliage late in day;spray when flower buds can dry to avoid balling. Dry foliage helps control mildew. Use a spray bottle with 'air temperature' water, rather than directly from the hose -- try not to chill the plant. • Insecticidal soaps work well. As with water spray, try to avoid leaving water on the foliage and flower buds late in the day. NOTE: Many roses have systemic residue from nursery -- don't eat petals or hips the first year unless you know the plant is systemic free! • Grow disease resistant varieties. • Good air circulation is important. Early morning & late evening sun is essential to dry foliage. Prune to keep open and help air circulation. • Stop after early to mid-August if intending to winter over plant. This produces "hips" which promotes dormancy. • Cut flowers or prune canes to encourage new growth. • Prune to the outside to open plant and encourage good air circulation. - Leave at least 2 complete (five leaflet) leaves; more is better. Before bringing any plant indoors or into a greenhouse, clean up debris and inspect for insects. Spray if needed. • Harden-off to warm, dry, house air by bringing inside for increasing periods of time over several days. • Don't feed until plant breaks dormancy and begins active growth in early spring. • Feed with half-strength, low nitrogen fertilizer. • You want the plant to go dormant. • Allowing a light frost several times is good, but avoid hard freezes by covering with a plastic tarp on cold nights. • Pluck leaves. Snip off flower and buds. Prune as little as possible. • Clean debris and inspect for insects -- spray if needed. • Water to avoid roots drying. The warmer and dryer the storage area, the more frequently they will need water. Maybe as often as every 4 weeks, or as infrequently as every 12 weeks. • Snap sprouts at cane. Don't let them get long. Too much light or too warm is usually the cause -- plant is breaking dormancy. Allen Deitz is the past president of the Alaska Master Gardener Association, editor and past president of the Alaska Rose Society, and owner of The Rainbow Connection, a back-yard nursery specializing in roses, biennials, perennials and locally collected seed.